What options do I have for studying law in Holland? How much does it cost to study law in Holland? In comparison to most Anglo-Saxon countries, tuition fees and living costs in Holland are reasonable. For EU students, the annual tuition fees for enrolment in a degree programme or course at a Dutch higher education institution start at around € 1,900. In general, tuition fees are higher for non-EU students, ranging from € 5,000 to € 15,000, depending on the programme. Please check the programmes for specific details. Although cost of living may vary a little per city, generally students spend between € 800 to € 1,200 per month. Can I get a scholarship to finance my study in Holland? Use Grantfinder to look for scholarships and grants available in Holland, and check for possible scholarships for studying abroad from your own government or institution. The Dutch Embassy or Consulate. The Dutch Ministry of Foreign Affairs lists contact details of the Dutch Embassy or Consulates in your country. The international office of your home institution. Dutch universities generally offer scholarships for excellent international students. Check with the university to which you are applying. Please note that, in some cases, students may make use of the Dutch government’s system of student grants and loans (‘studiefinanciering’). Can I use my foreign diploma to study law in Holland? When you apply for a programme, your Dutch host institution will evaluate your diploma to compare it to a Dutch diploma. They will check if you meet the admission requirements, you don’t have to take action for this yourself. Do I need to speak Dutch to study law in Holland? No, the programmes listed on this website are all taught entirely in English. Dutch people generally speak English at a conversational level, so in public life you will also be able to manage with just English. You may also want to check: What level of English do I need to study law in Holland? Do I need a visa to study in Holland? In order to be able to study in the Netherlands, you may need to apply for residency. This depends on your nationality and on how long you will stay. EU/EEA and Swiss students do not need a residence permit to study in the Netherlands. Dutch universities are required to inform the Dutch Immigration and Naturalisation Department (IND) about the duration of academic registration for enrolled international students. Apart from a residence permit, nationals from most countries will also need an entry visa. In some cases a work permit is required as well. Check the Visa Wizard to find out which requirements apply to you and how you go about arranging things. Which documents are usually required for admission? A certified copy is a duplicate verified to be a true and faithful copy of an original by an authorized signatory such as a notary public – basically, a copy with stamps and autographs. In most cases, the school where you received your degree certificate will be able to provide certified copies of the required documents for you, in other cases a notary public will be able to assist you. What level of English do I need to study law in Holland? Law students will need a very good command of the English language. English-speaking students with a degree from a country where English is a national language, are exempted from English language proficiency testing requirements. IELTS: for this test you will need at least a result of 6.5. TOEFL: the minimum score for the Internet Based Test (IBT) is 90. Some programmes require a higher score; check the admission information and contact the university of your choice for specific requirements. Holland does not have a tradition of on-campus accommodation. Most students live in or near their university town. Learning to ride a bicycle will probably be a good idea. Make sure you start looking for a room as soon as possible. If you are in an exchange programme, on an international course, or following a one-year degree programme, a room may be arranged for you. Consider accepting it immediately, or you might regret it later: Finding good, affordable accommodation can be a problem. In any case, check at your university whether they can arrange a room. It is common for men and women to live together in a shared house. If this is a problem for you, you should make this known as soon as possible. Also, you may have to share the shower, toilet, kitchen and living room with other students. This commonly leads to lifelong friendships, so that may be a plus. Can I work while I study in Holland? International students who would like to take paid work alongside their studies are allowed to do so. However, depending on your nationality, you can only do this for a limited number of hours per week and only if the employer has applied for a work permit for you. If you are from the EU/EEA or from Switzerland, you are free to work without restrictions. If you are from a country outside the EU/EEA or Switzerland, there are some restrictions if you want to take a job next to your studies. You need a permit and you can only work for a maximum of ten hours a week or, instead, you can work full-time during the summer months June, July and August. You need to be aware that as soon as you pick up a job, you are obliged to take out the Dutch basic healthcare insurance. If you do not meet this requirement, you risk a fine of around € 350. For more specific and up-to-date information, please contact the university of your choice. If you are already in Holland and you are about to change what you are doing, if you are graduating for example, then you may need to change your permit. The immigration procedure you need to follow depends on your nationality, duration of stay, and the purpose of your stay. For EU/EEA citizens no immigration procedures apply. You only need to register at the IND office if your stay will exceed three months. 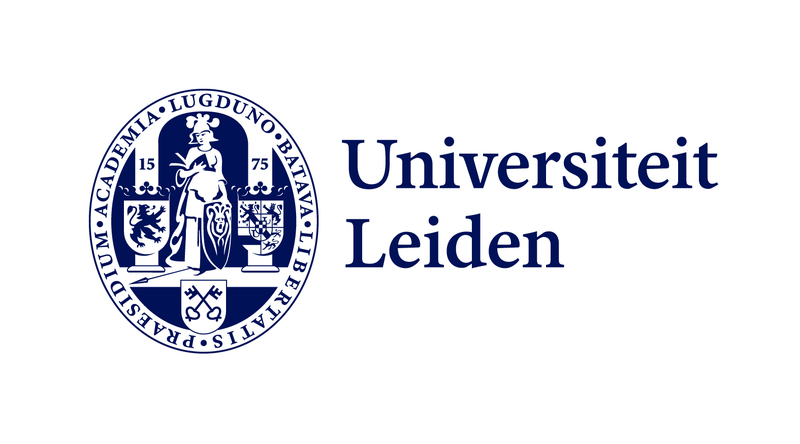 Orientation year graduates seeking employment: you are eligible for this if you have recently completed a Dutch bachelor's or master's programme. No work permit is required for you to work during this orientation year. Orientation year highly educated migrants: you are eligible for this if you have completed a master's or PhD at a Dutch university or at one of the top 200 highest ranking universities and you can collect enough points in the point system. Please visit www.hollandalumni.nl for more information. Will I be able to use my Dutch law degree in my home country or elsewhere? An overview of 9 excellent law schools in the Netherlands with English taught, international law programmes with relatively low tuition fees.